I get more questions about how to waterproof paper quilled jewelry than any other types of questions. 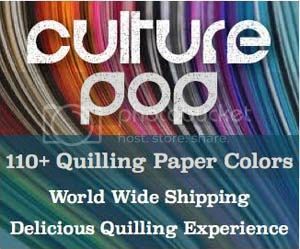 Which makes sense seeing as I blog most often about paper quilled jewelry and sealants, and I enjoy answering the questions that I can. The short answer is….. YES There are people who use clear nail polish. It will give a hard, glossy, quite waterproof seal. Probably even more waterproof than many of the paper specific sealants that are out there and that I use. Nail polish has fumes. It is stinky. 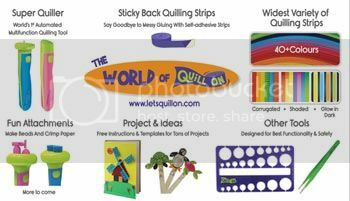 I don’t like working with products like these in my smallish craft room and with children around. I prefer non toxic water based sealants. It’s not formulated to be long lasting. You only wear nail varnish for a few days/weeks. There is the chance that over months/years it could get a yellow tint to it. This is true of some resins as well which I found out the hard way (I’ll save that for another post!). Besides getting yellow it could start getting too brittle over time. It is pricey. You can see on Amazon that the price ranges from about USD $3-$6 for .5 fl. oz. For that price you can get 2oz of Diamond Glaze , Crystal Coat Glaze , Mod Podge Dimensional Magic and many other water based non toxic sealants that still give the shiny finish. Messy. Maybe I still haven’t learned the best technique, but I always get some sealant on my fingers when I am sealing my jewelry. I don’t want to have to wear gloves while doing my work and you can’t just rinse off nail polish the way you can rinse off the water based sealants. That’s enough reasons for me not to delve into using transparent nail varnish for my own jewelry. There are too many other options out there that I am happy with and too many reasons why I myself don’t like to use varnish. I don’t even use it on my own nails, preferring my daughter’s non toxic piggy paint for that. No stinky fumes! Hi Honey Thanks a ton for the information.I had once used nail hardner for my quilled jewellery.Could you suggest Sealants which is easily available in India. Thanks for this info, Honey AND for the intro to Piggy Paint… I’d not heard of it before and am so glad to hear there’s a non-toxic nail polish! Thanks for the comment, Ann 🙂 Yes, I was happy to find it as well! Hi Monisha 🙂 Thank you for your comment. I have some articles about sealants which you can see here: http://www.honeysquilling.com/sealants-for-paper-quilling/ I am experimenting with several sealants right now and will post tutorials and reviews over the next few months, so keep checking back as I provide more information about using sealants and glues for quilling! Hi honey! This is pathumai. I use fevicryl on my quilled earring but realise that it becomes sticky even after its dry. Any reason why?